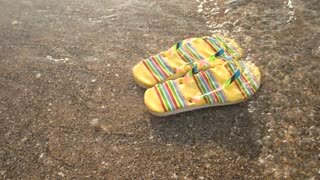 Flip flops floating. Sea water and sunlight. Holidays at the tropical island. Pair of floating flip flops. Small waves and sunlight. Step into the sea. Flip flops floating on waves. Transparent water and sunlight. Go to the ocean. 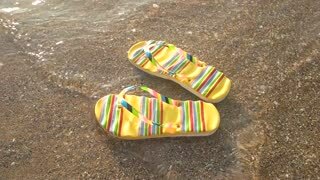 Wet flip flops on sand. 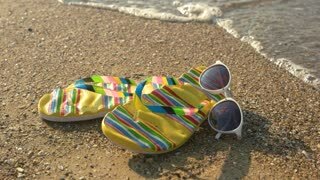 Summer footwear, seashore background. Vacation at the tropical island. 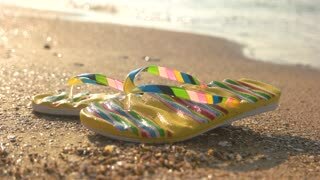 Flip flops on sand background. 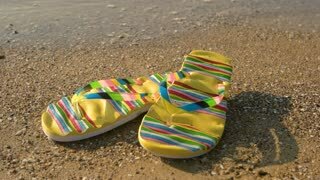 Footwear on shore. Summer at the tropical island. 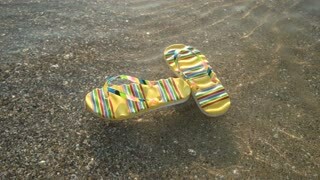 Flip flops floating on water. Seashore and sunlight. 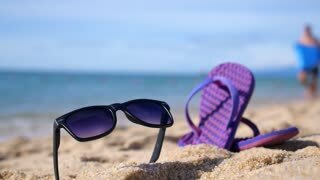 Beach footwear advertisement. Floating flip flops. Footwear on water background. Sense the warmth of sea. 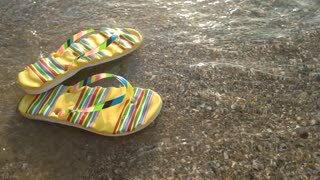 Floating flip flops and sunlight. Sea water in motion. Summer rest at tropical island. Feet of woman in water. Lady in flip flops, seashore. Take a step towards sea. Girl's legs with flip-flops enjoying seawaves. Close up. Woman washes her feet in the sea water.